SEATTLE, Washington – When thinking of Cadillac, I’m sure you don’t immediately associate the brand with a young demographic. 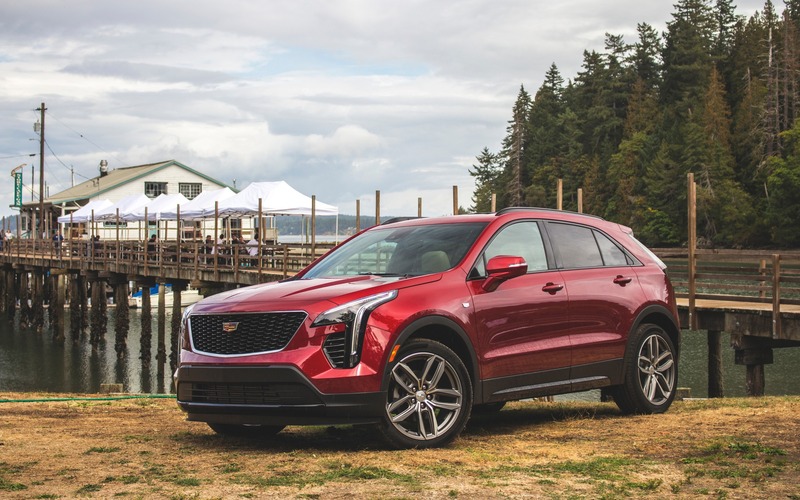 That’s why when it was time for GM’s luxury division to commercialize its first subcompact SUV, the XT4, it had a steeper hill to climb than its rivals. How do you convince younger buyers to hop from luxury brands such as BMW, Mercedes-Benz, Audi, Volvo and Lexus into a Cadillac? In all fairness, we asked ourselves the same question before driving the XT4. We flew all the way to Seattle, Washington for an answer. The subcompact luxury SUV segment reminds me of the cool gang in high school. To be part of that tribe, you had to fulfill a set of specific criteria: have the latest, trendy haircut, wear branded clothes, expensive shoes, and be a member of some kind of sports team. In this segment, these vehicles are extremely popular and generate good profits for carmakers. There’s a ton of great offerings out there, vehicles that are each as “cool” as the next, all appearing to come out of a similar mould. There’s the Audi Q3, the Mercedes-Benz GLA, the BMW X1 and X2, the Lexus UX, the Infiniti QX30, the Jaguar E-PACE and the Volvo XC40, each of which contain the right elements to sell well: a trendy and youthful design, the latest in connectivity features and highly styled interiors, all at an attractive entry price. And on that front, the XT4 fits the bill rather well. It looks the part, all while staying true to the classic Cadillac design cues, such as the vertical LED head- and taillights. At first glance, the XT4 kind of resembles a Cadillac Escalade that shrunk in the dryer. Or as one of Cadillac’s own designers put it, a puppy version of one. The XT4 is also well proportioned. It has a wide stance; from the rear it has a nice muscular look to it, and the raked roof gives it a sporty demeanour. It all makes for a darn good-looking SUV, all while avoiding copying anything else on the road. And that theme carries on inside, where a clean, uncluttered and modern dashboard translates into a pleasing place to spend some time in. Most physical controls have been integrated into the new touchscreen layout, commanded by the CUE interface, Cadillac’s infotainment system. Except for the XT4, Cadillac gave it a multifunction dial and a volume knob on the centre console, similar to what Audi puts in its vehicles. Doing so now allows CUE to please both touchscreen and physical control fans. Well played, Cadillac, because your last-generation system proved frustrating with its haptic-only controls. And as with all recent GM products, the system is easy to grasp, user-friendly, attractive and incorporates a wide variety of connectivity features, such as Android Auto / Apple CarPlay, a Wi-Fi hot-sport (data subscription required), as well as Teen Driver and Valet drive modes. We also enjoyed the dynamic rearview mirror which, through the use of a camera, projects a clearer, more focused representation of what’s happening out the back. For its latest offering, Cadillac kept things simple by offering only one engine across the lineup, something untraditional for General Motors who often offers a choice of engines for its vehicles. All versions of the XT4 therefore rely on a 2.0-litre turbocharged four cylinder good for a claimed 237 horsepower and 258 lb.-ft. of torque, managed by a nine-speed automatic. Front-wheel drive comes standard, and all-wheel drive is optional. However, that all-wheel drive system is a little cleverer than what is found over at the competition. It’s a dual-clutch system, similar to the one in the Cadillac XT5. This allows the XT4 to fully disengage the rear wheels when needed, defaulting back to front-wheel drive, hence improving fuel economy. Another interesting feature is cylinder deactivation, standard on all trims. Normally, these systems are fitted onto larger engines, such as a V6 or a V8. Here, it allows the XT4’s already small mill to run on only two cylinders while coasting. This therein allows Cadillac to boast a 9.9 L/100 km fuel economy rating in the city, and 8.3 L/100 km on the highway for vehicles fitted with all-wheel drive. On the road, the XT4 exhibits surprisingly sporty driving dynamics. Its chassis is solid and the Magnetic Ride suspension, available on the Sport trim level, allows this small SUV to be compliant on rough roads, and tossable in the twisties. However, its electric power steering is completely deprived from any form of feedback, and the turbo engine, while delivering acceptable acceleration, doesn’t sound all that exciting. But hey, the odds that XT4 owners will bring their new utility vehicle on a racetrack are small, so we forgive it for these letdowns. At least, that automatic gearbox operates like a gem and there’s an overall sense of harmony in the way the drivetrain was packaged. As for the practical side of things, the SUV’s raison d’être, the XT4 fits smack in the middle of the segment. 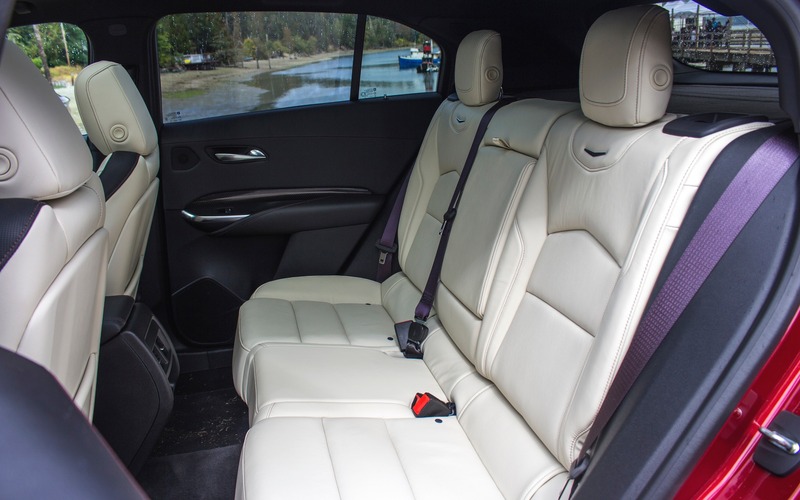 Its rear seat is spacious considering its small dimensions, and total cargo room is on the high side – 1384 litres in total – making it roomier than a Mercedes-Benz GLA, but less so than a BMW X1. So, why opt for the Cadillac over the others? The rational answer would be that the XT4 doesn’t do anything particularly better, or worse than its rivals. That said, the same can be said about its competition. It’s a segment where everyone does things similarly. One thing’s for certain, the 2019 Cadillac XT4 looks good, feels young, drives great, and its technology is up there with the industry’s latest trends. It’s also practical enough to meet the requirements of SUV buyers, elements that should, in theory, contribute to attracting new blood to the brand. There are, however, two caveats. Its base price of $37,900 makes the XT4 a more expensive vehicle than an Audi Q3. Sure, the Cadillac gets more standard features, but that price tag could repulse fans of European vehicles. Also, we would have appreciated some form of electrified version. GM has what it takes with the Chevrolet Bolt EV and Volt to inject a plug-in variant into the XT4’s lineup. That would allow its baby utility vehicle to really shine over its rivals. Perhaps such a thing would make the little Caddy too smart for the cool gang? Sometimes, it’s better to play it safe and do what the others are doing if you seek access into their clan. 7/10	We recorded an average of 9.5 L/100 km. 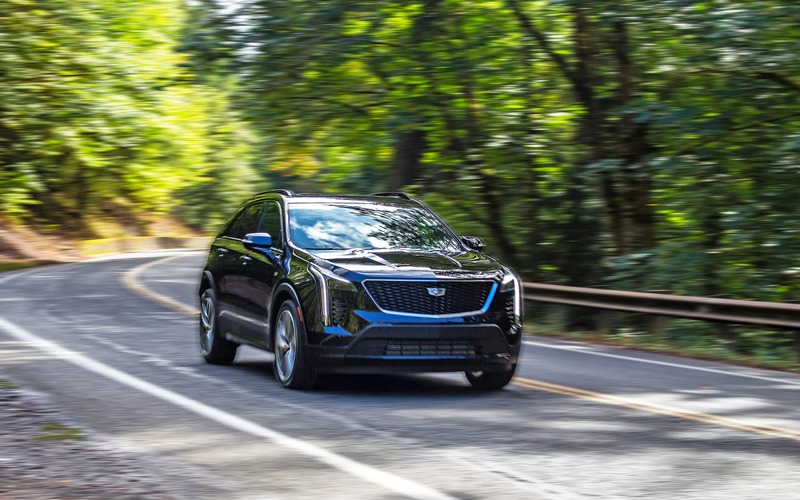 That's good, but not great for the segment..
8/10	The Cadillac XT4 is comfortable for both front and rear passengers, and its cabin is quiet at high speeds. 5/10	It exhibits adequate performance. Acceleration is fine, handling is sporty, but there's an overall sense of neutrality in steering feel and engine noise. 10/10	GM's ace up its sleeve! CUE is now equipped with a physical knob, making it much easier to live with. Android Auto/Apple CarPlay compatible. 7/10	We were impressed by the XT4's sporty handling. While not fun to drive per se, it will allow you to hit a corner quickly without drama. 8/10	In order to properly penetrate the very aggressive compact luxury SUV segment, Cadillac remains conservative by offering only one engine, and no electrified version. The XT4 looks good, drives great and is filled with technology.